Sunday lunch and another family catch up. It has all been so much fun catching up with everyone and I just cannot believe that my 5 week sojourn is over and that it was back to work today. 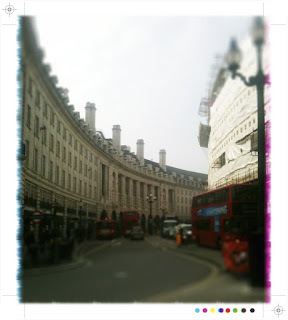 What a fantastic 5 weeks and far too many highlights...I hardly even know where to begin. 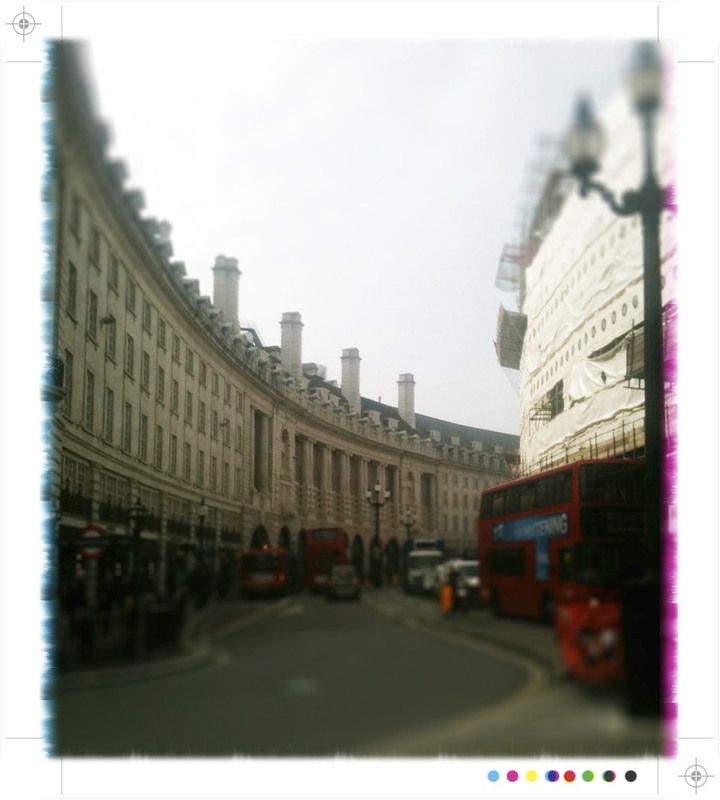 London...a whole week with great friends, a week of curries, Ottolenghi, St John Restaurant, Jamie's Italian, a shamrocking St Partick's day, Borough Market, a little retail therapy and lots of catching up with very dear friends. Rich, Stacey, Danny, Malin, Alison, Roz, Gillian and all my rocker friends on St Paddy's - it was so much fun! En route to Scotland via Surrey and more catch ups with old university friends, Becky and Kirsten. 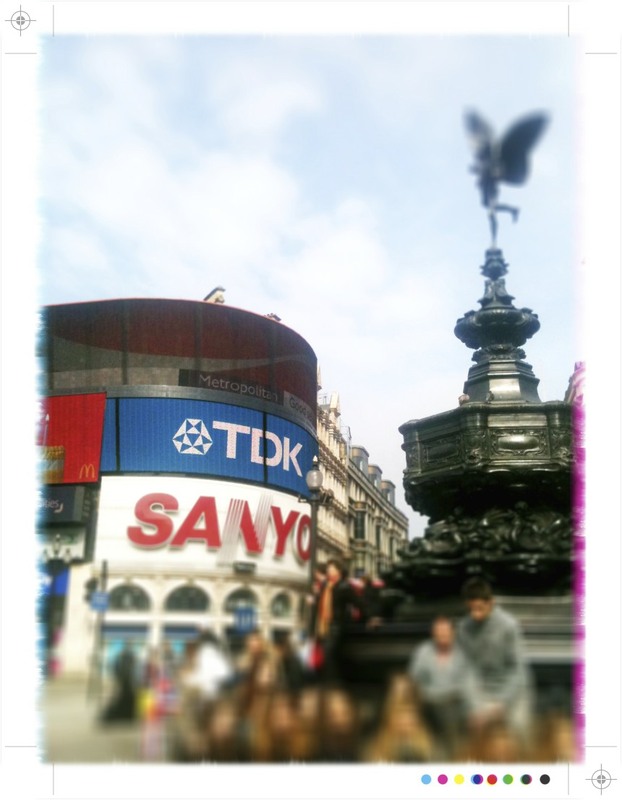 We met freshers week at university and now wonder how 20 years can have flown by so quickly! A little bubbly, a too short long lunch, my gorgeous god daughter, Amber and her sister, Robyn swearing her oath in to the Brownies. Next stop Chorley, up North and I fell a little in love with Lancashire! Friendly people, rolling hills and Suzannah...more precious time with a dear friend, sadly it all passes in a flash and over all too quickly. 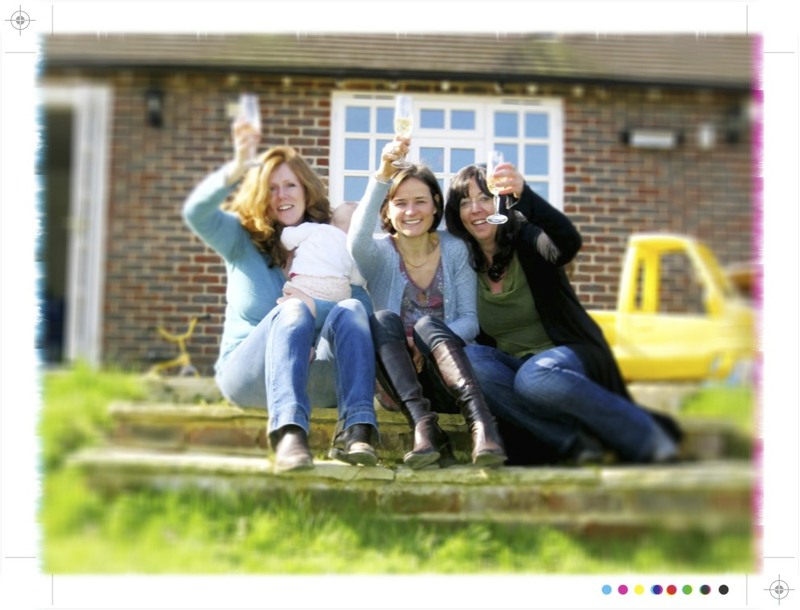 Pretend bubbly in hand as pre noon! And finally bonnie Scotland and it has been bonnie indeed, certainly interspersed with some spectacular spring days, daffodils blooming everywhere. More good times with Mum and Dad, Aunts, Uncles, cousins, school friends and uni friends. 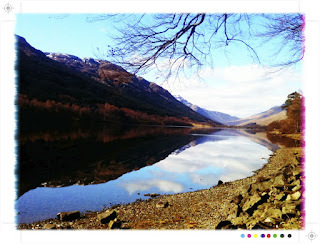 Marvelous eats at Monachyle Mohr, The Royal Hotel and Cromlix House and far too many scones. One of those family gatherings was Sunday lunch, roast leg of lamb, Nigella's roast potatoes in goose fat, boiled baby new Jersey Royals, maple glazed carrots, broccoli and Brussels sprouts. Yes Brussels sprouts....roasted and topped with walnuts and a balsamic dressing. Quite delicious and you can get the recipe over here at Scandi Food. 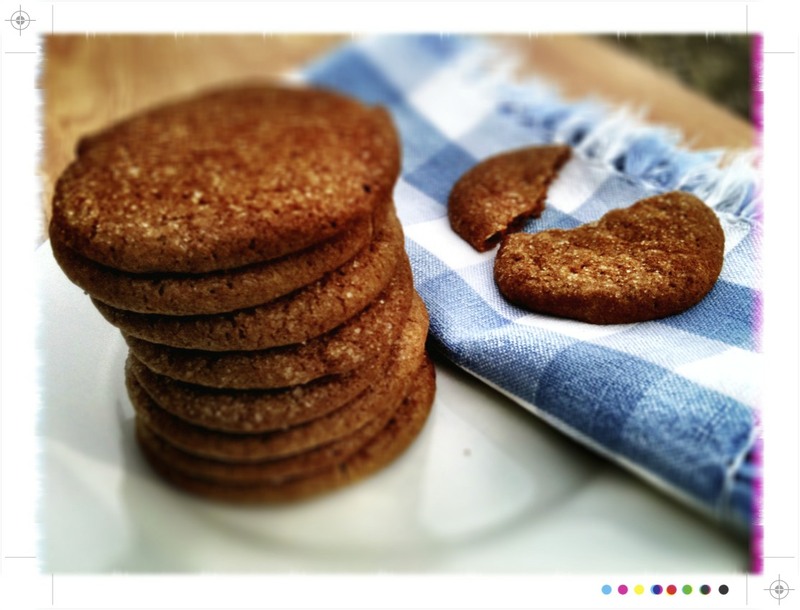 I was on dessert and felt it only right to share these ginger snaps, they are light and snappy full of ginger and spices with a crunchy sugar crust. All credit for the recipe goes to Alice Waters and The Art of Simple Food: Notes, Lessons, and Recipes from a Delicious Revolution. The first time I baked this recipe they turned out perfectly and the same again...this is one very good recipe. 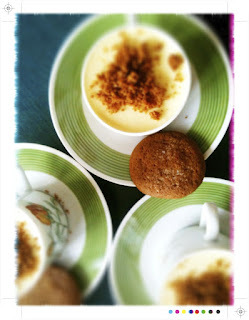 So good I felt they deserved to feature with dessert and I like the ginger with the lemon so enter a little lemon mousse. 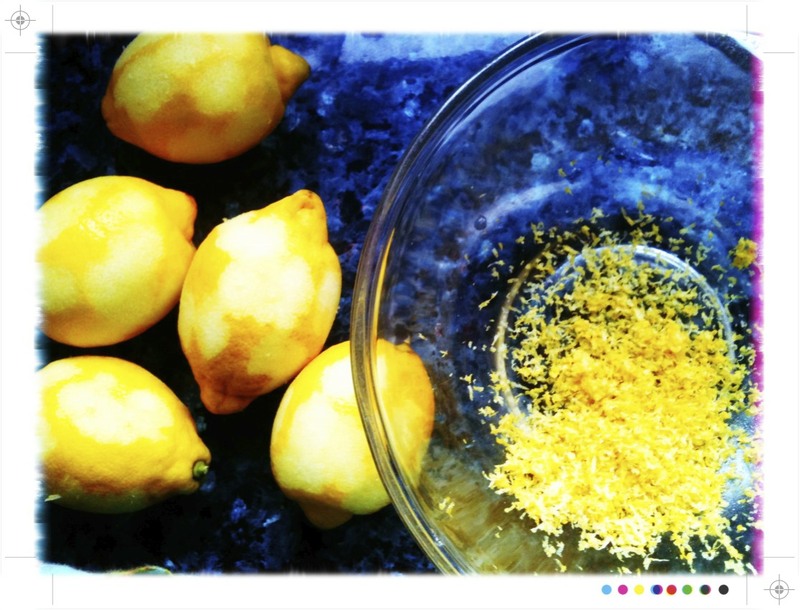 Add the zest of the lemons to a medium sized bowl with the egg yolks and whisk until well combined. Slowly add the sugar, whisking all the time. 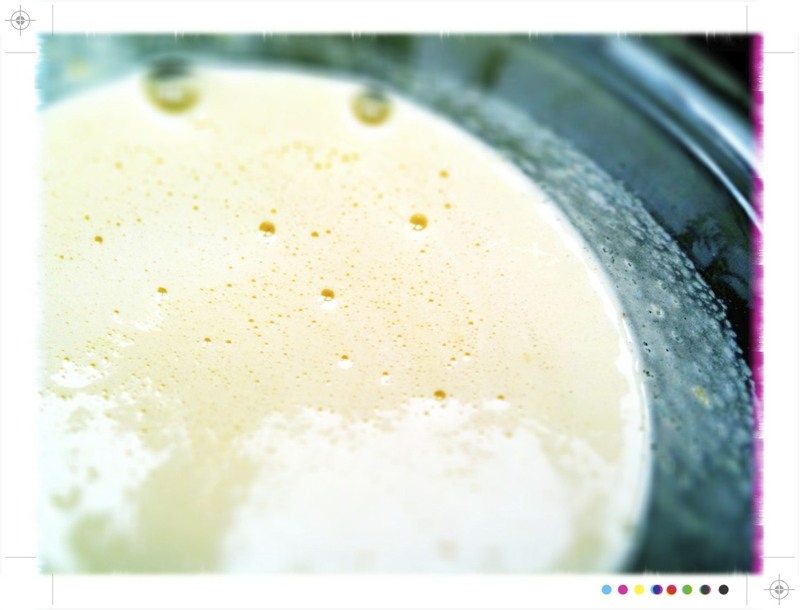 Continue to whisk until the mixture is thick and pale. It will a good few minutes. Add the lemon juice to the mixture and whisk well. Dissolve the gelatine in a spoonful or 2 of warm water until it is completely dissolved and then add it to the yolk mixture. Stir it in thoroughly to make sure it is well combined. 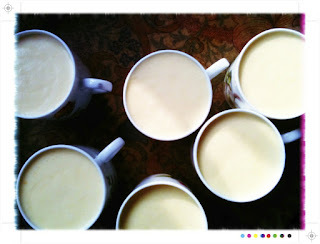 Leave the lemon mixture to cool and thicken, it should coat the back of a wooden spoon. 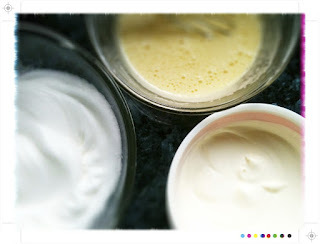 Whip the cream to soft peaks and fold it in to the lemon mixture. Whisk the egg whites to stiff peaks and fold them in to the lemon cream with a metal spoon, gently. 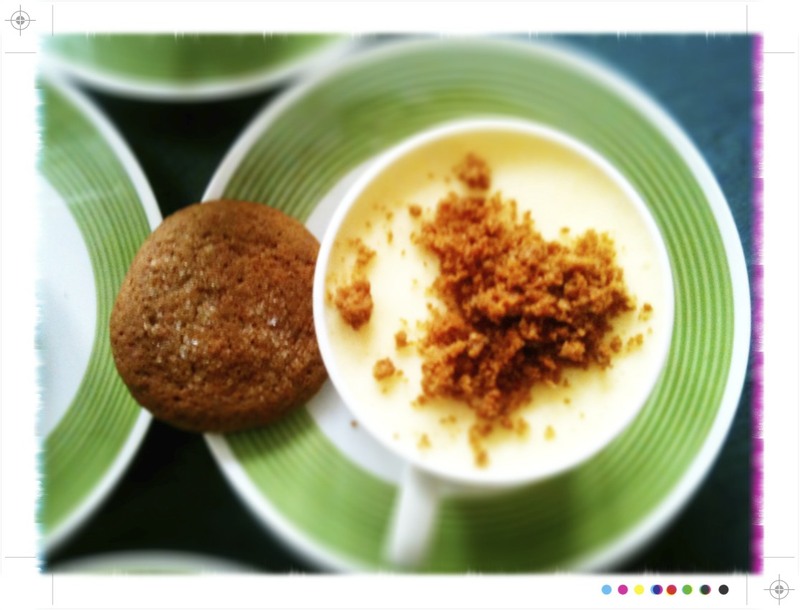 Pour the souffle in to one large bowl or individual serving dishes. Place in the fridge to set and remove an hour or so before serving to come to room temperature. Makes 40-50 cookies, but the dough can be halved and one lot popped in to the freezer for another day. They are perfect as they are but you can play around with the spices, perhaps cloves, nutmeg or little allspice. Just a 1/4 - 1/2 a teaspoon would suffice. 1 1/2 tsp baking soda1. 1/2 cup mild-flavored molasses, or I used 1 part treacle one part golden syrup as that is what Mum had in the pantry. In a medium bowl stir together all the dry ingredients and set aside. With an electric mixer, or by hand, beat the butter until soft and fluffy. Add the sugar and continue to beat until smooth, scrape down the sides to ensure that everything is incorporated. Add the vanilla, molasses and egg and mix to combine. 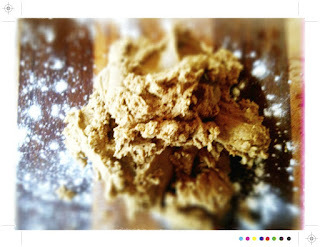 Next mix in the dry ingredients gradually until you have a smooth dough. Divide the dough in half and roll each on a lightly-floured surface until each is about 5cm around. Wrap each cookie log in plastic wrap then roll them lightly on the counter to smooth them out. Pop them in the fridge or freezer until they are firm. To bake, preheat the oven to 350F (180C) and line two baking sheets with parchment paper or silicone baking mats. You can slice the cookie dough in to rounds but it annoyed me that I couldn't achieve the perfect circle, so I found it easier to take a small piece of dough, a teaspoon or less, roll it in to a ball and to lightly press until you have a perfect circle. It worked for me and delivered perfectly round little ginger snaps. 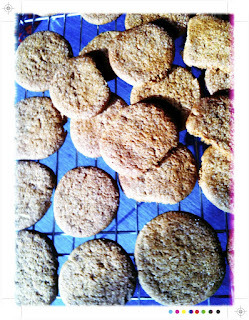 Sprinkle the sugar on to a saucer and press one side of the ginger snap in to and then place sugar side up on the the baking sheet. 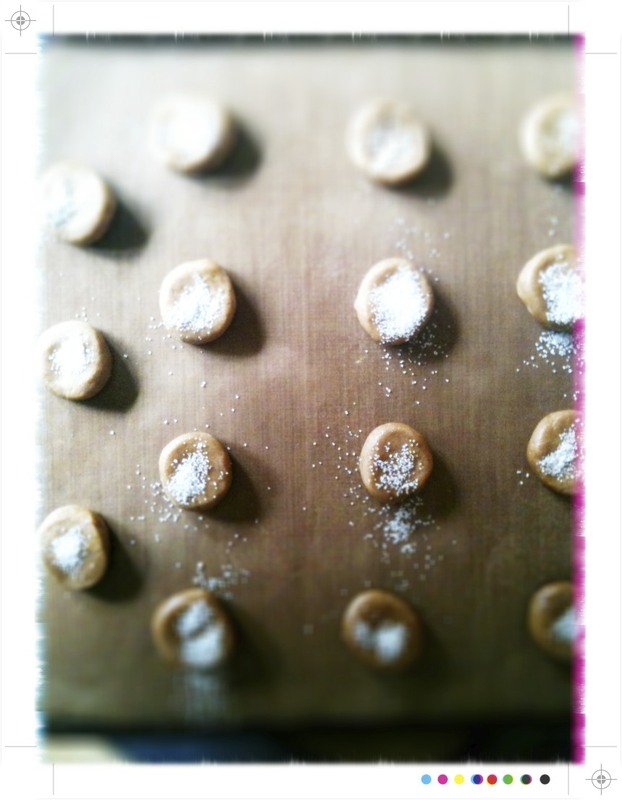 Leave 4-5 cm between each cookie as they will spread a little. Bake for 10 - 15 minutes until they are golden. Nearer to 15 minutes and you will have more snap. 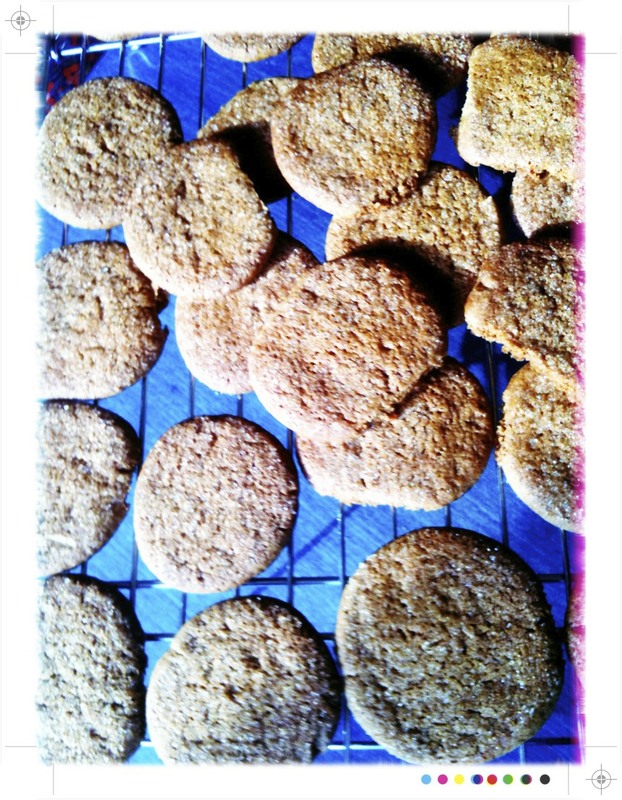 Allow the ginger snaps to cool for a couple of moments and then remove them to a cooling rack. The dough can be refrigerated for up to 5 days or frozen for up to 3 months. After baking they will keep in an air tight container for a day or 2, but are best the day baked. A good excuse to eat more I reckon. I served the lemon mousse in little cups that used to belong to my Gran, a little kitsch but I just like to be able to keep using some of the beautiful plates and crockery rather than have them gather dust at the back of a cupboard. The mousse was light and bursting with lemon. 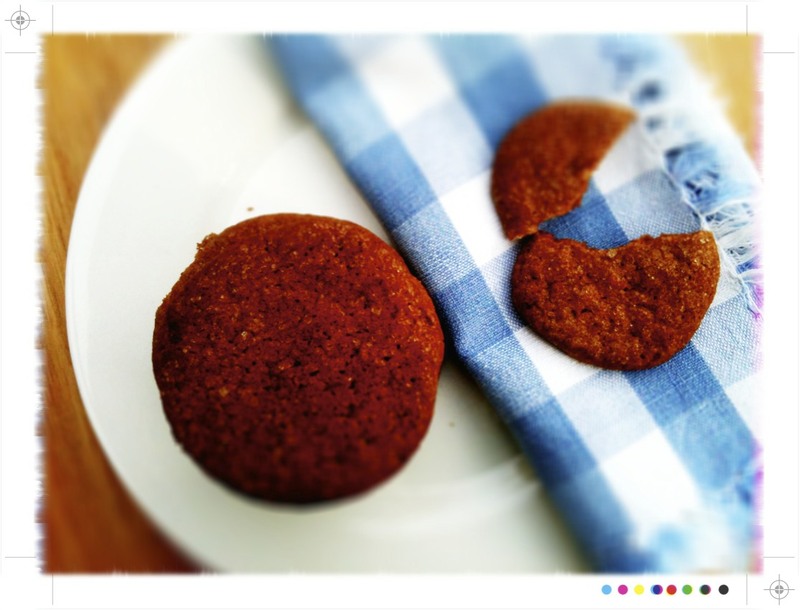 The ginger snaps provide crunch and sweet warmth to mellow out the citrus. I like the mousse in a cup idea :-). Did I just read 'roast leg of lamb' and 'goose fat' in the same sentence?! Sounds fantastic. Great combination with ginger and lemon, i love the pepper in the ginger mix...very Scandinavian of you! @ Moon Over Martinborough...yes I reckon roast spuds should be either duck fat or goose fat...delicious. Thanks ladies...that ginger snap recipe is a winner.